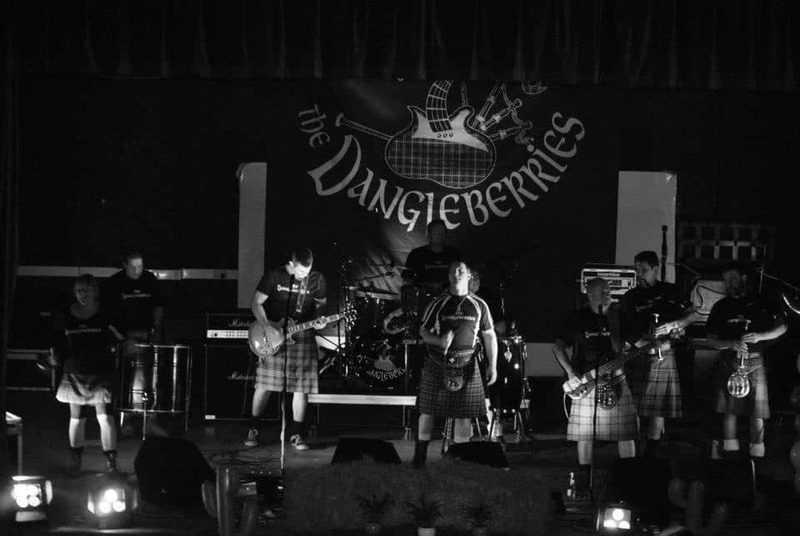 The Dangleberries are a pipe rock band like no other, consisting of vocals, guitars, drums and of course bagpipes! The band’s rousing performances deliver a mixture of their own material, both songs and instrumentals in addition to well known and at times unexpected covers (Boney M’s Daddy Cool being a great example). 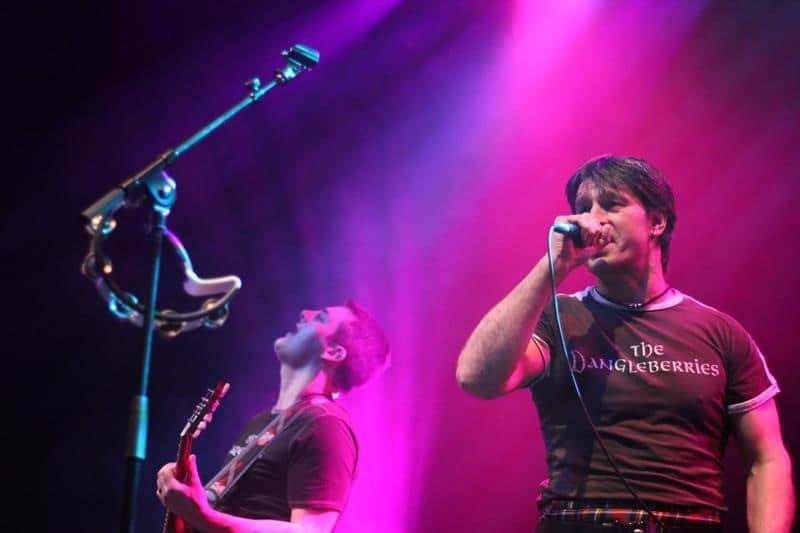 Their own material is mainly rock influenced but naturally written to compliment and fuse with the unique sound of the bagpipes. 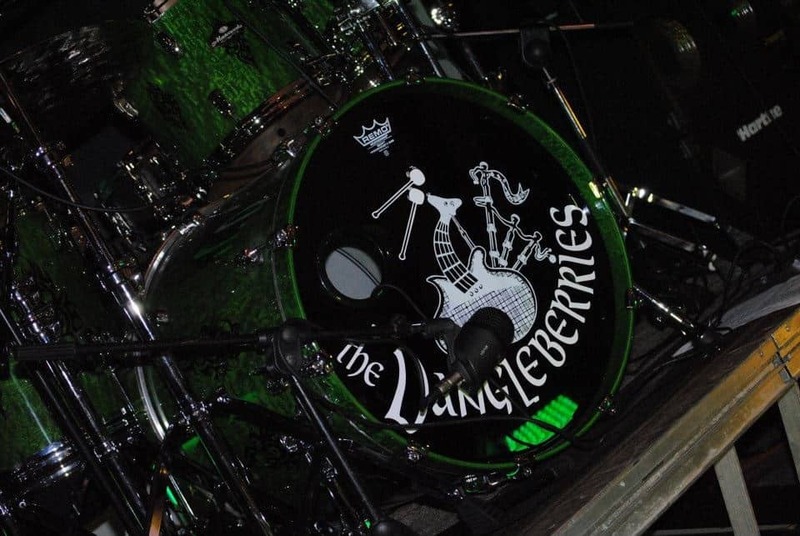 The Dangleberries recently celebrated 10 years of gigging which has taken them from as far south as London to as far north as Wick with many music venue and festival appearances in-between. Highlights include regular festival main stage performances at The Wickerman, Belladrum Tartan Hearts and Loopallu. There are many fantastic memories from these events that provided the opportunity to meet and play alongside many major acts. One in particular was playing to a packed and enthusiastic crowd of festival goers and turning round to see Mumford & Sons dancing and cheering in the wings! The Band has evolved organically over the years ,this can be heard from their first two albums, “A Richt Guid Horkin” a live recording in made back in 2007, followed by “Nae Sleep Tae Regent Street” which was released in 2009 . With tracks being played on national radio. The long awaited 3rd and entirely studio recorded album will be launched on 6th July 2013 at The Venue in Dumfries. The album title is “Plugged iN” reflecting a transition from acoustic to electronic bagpipes in 2011. This was a conscious decision to embrace the new technology which looks and sounds every bit as good as traditional pipes, requires the same level of skill to play, but offers greater versatility from a musical and liveperformance perspective. This new album, will incorporate 9 original tracks and 4 covers and has been a year in the making. The experience at Unit 7 Studio has been hard work, but great fun and the Band are delighted with the end product and hope you will be to! All ten members of the Band hail from all over Dumfries and Galloway and are delighted to be launching “Plugged iN” at The Venue. As a thank you to all supporters, first copies of the album will be on sale at the gig with a 50% discount at £5. 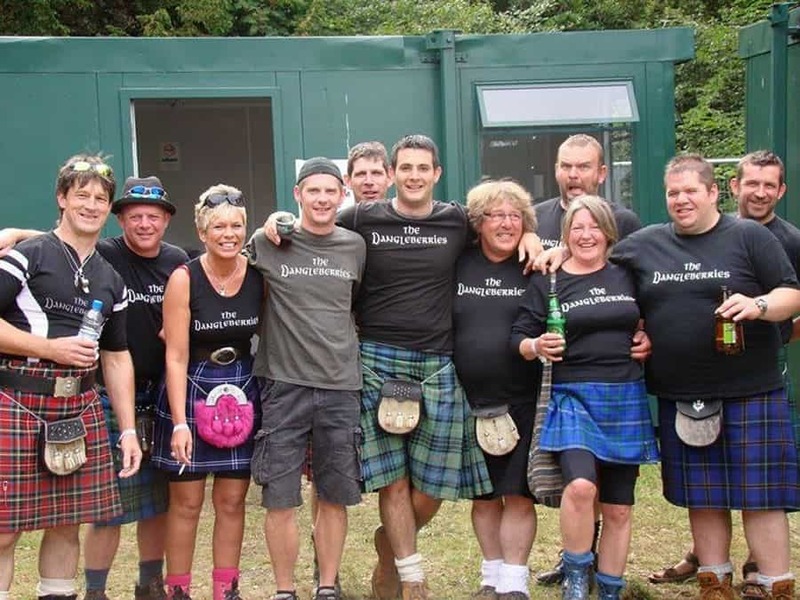 Even though the Dangleberries play huge festivals all over the country to crowds as big as 10,000 folk. They still love to play smaller more intimate gigs too. Not many folk know you can hire the Dangleberries for your own personal functions such as weddings and 21st parties! 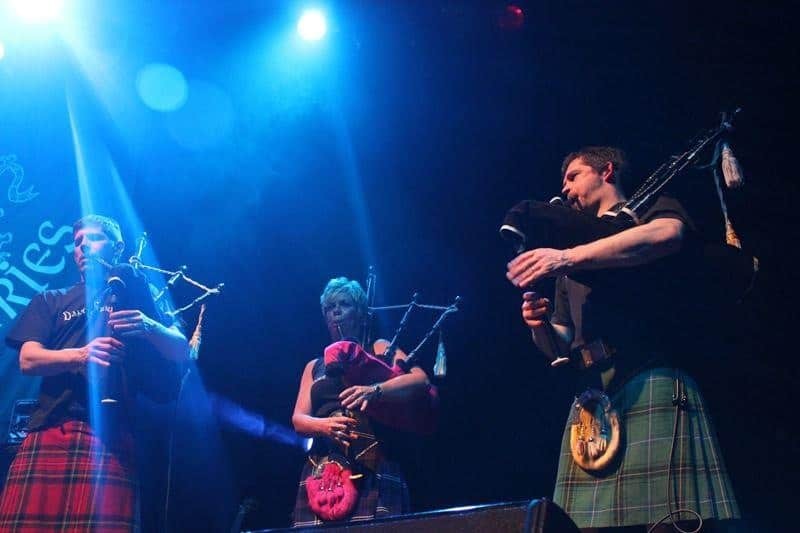 If you would like more info or to hire the Galloway pipe rockers then you can email them at info@thedangleberries.com!